@kitoraem - Aw, Thomas was such a cute and successful little kid, good job completing his aspiration. I thought it was sweet how Lucy asked her husband to have another baby. Triplets! lol good luck, they're pretty rough to play. 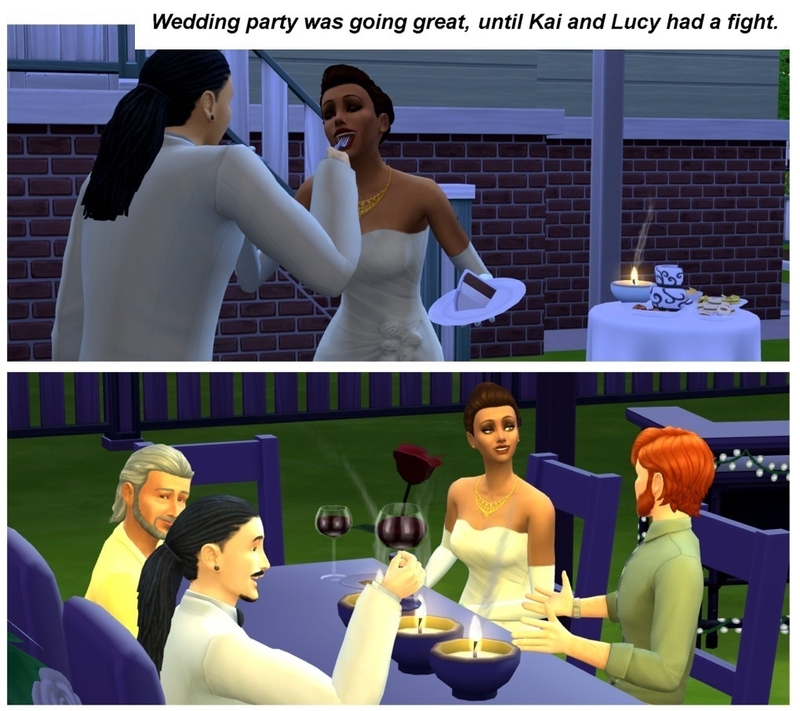 In my last update Lily and Shane got married. Lily was ready to start a family so she was thrilled to learn she was pregnant shortly after the wedding. When Shane got home from work Lily was waiting for him. She was more then excited to tell him the good news. Her belly grew quickly, and Shane started to become less scared of becoming a parent. He is however now afraid of Aliens lol! 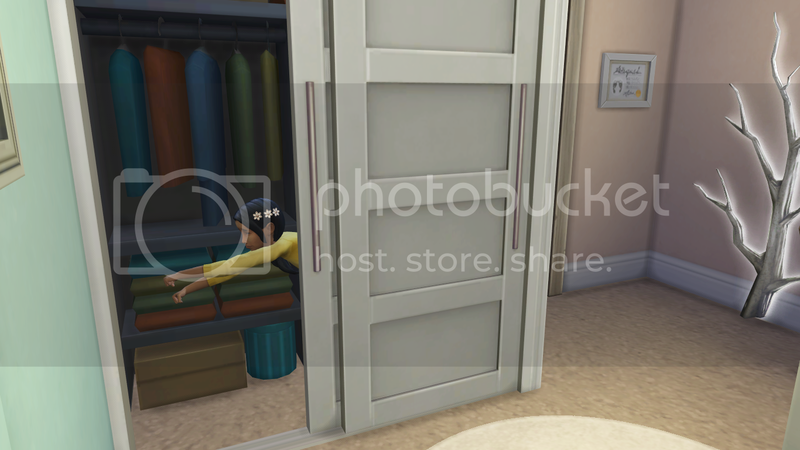 For the very FIRST time, a sim of mine got abducted. He came back without a scratch. I'm kinda disappointed there isn't gonna be an Alien baby in the family. I've yet to play an alien sim. Anyway, Lily went into labor late one night. Lily's very happy, as she's wanted to be a Mother for quite some time. I think Genji and Hanzo will be the only babies this generation. Their parents will thank me. @debjameswhite haha thank you! it's all abit hetic, but hoping to move Thomas out once he turns a young adult, can't come quick enough! Olivia - Artistic Prodigy, has the creative trait. Harrison - Social Butterfly, has the goofball trait. 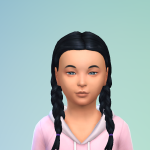 Rosa - Rambunctious Scamp, has the hot headed trait. @Heckstress17 Thank you, having a lot of fun completing the childrens aspirations.. and the adults! Something I never really bothered with. And OMGGG. Them babies you have are super cute! Genji and Hanzo. YESSS I love Overwatch too much, good job on the names. I like D.VA too much. And yep, the house is crazy, children up until 4am. Had alot of time spent with Thomas as he was the only one. So trying to do 3 is hard, but they aren't aging until it's done haha. @everyone LOVE all of your updates!! I am so glad it is Friday. I hope to finish our home so that I can begin our journey. Seeing all of your beautiful families is so encouraging! This is such a neat way to enjoy the game!! Thank you everyone for sharing your stories and families!! @Heckstress17 Aww, please don't go! It would be so sad to not see your couple anymore. I'm sure we'll get some family stuff in the future, I think we just have to be a little more patient. 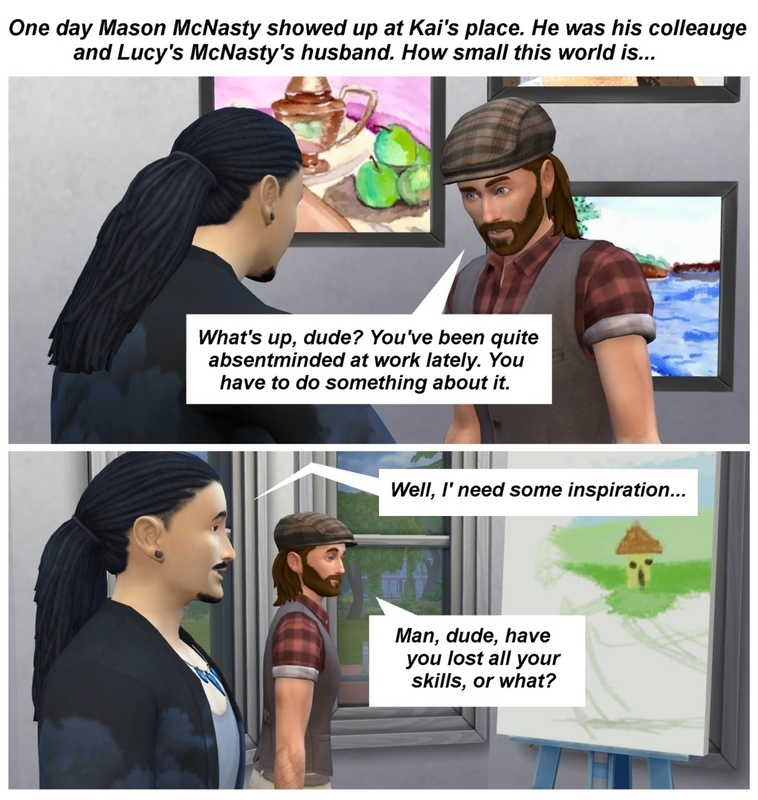 I'm disappointed with EA too, but hey... the first expansions for Sims 3 were World Adventures and Ambitions I didn't really like those either. It did get better after that. And maybe City Living will be fun I do like the apartments and street festivals parts of it. Trying to stay positive haha. Woo! Lily's pregnant already Haha poor Shane. Does he have an office job btw? I forgot. 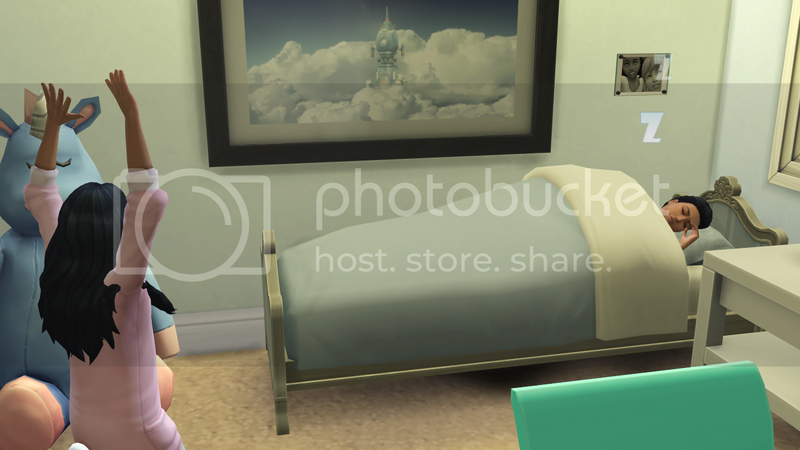 His clothes in that pic look very office-ish Lily's the happiest pregnant sim I've seen so far in your legacy, I think haha. She's like 'Babies? No biggie!'. They look so sweet in their outfits. Where did you get those from? I'm curious to see how they look as children. I bet they're super handsome. Logan's front porch is gorgeous Look at that view. I really like his house. Huzzah, wedding coming up! @OJenn I have mixed feelings about City Living. I'm excited for parts of it, the apartments and street festivals for example. I also used to love the urban look and feel of Bridgeport in TS3, so I am crossing my fingers that they'll really bring that vibe with this expansion. Part of me is disappointed, because I was really hoping for something more family-ish this time. Get Together was all about going out and partying too, and I've had enough of that for now. I mean, there was child stuff, but an entire EP focused on teens and children would be awesome. But maybe EA will listen to us domestic types too and bring something like that next time I also hope it won't take another whole year. I think the time between these expansions is way too long. @Meeshelby Honestly, I wouldn't mind if you'd go back to just one family. It's sometimes hard to keep up with all the different people in your updates haha. But more important: I think you should do it if you get overwhelmed, because it might start to hold you back in playing. Always try to keep it fun for yourself, is my opinion It would be nice to go with one of the families you're already playing though. If you like that! Noooo, I'm so sad Arya died She was my favorite. Poor Kylo too, losing not only his twin brother but then his daughter. There's a curse on him... I'm glad Lily was there for Jon. They make a gorgeous couple. They are moving fast, but hey... when it's right Khal and Melisandre are so cute. I think I prefer Khal, because of his eyes, but I understand that you'd like a girl for the next gen! Hahah Daenerys being with Arvin is a little awkward, but as long as they're happy. Arvin always struck me as a nice guy. Lily's pink dress is actually really cute! It fits her too. @OJenn Luxurious Llamas looks very fancy. It has a bit of an industrial look to it, I like that. The outside part is gorgeous too. Especially with the autumn colors. @soulfull Happy Friday! 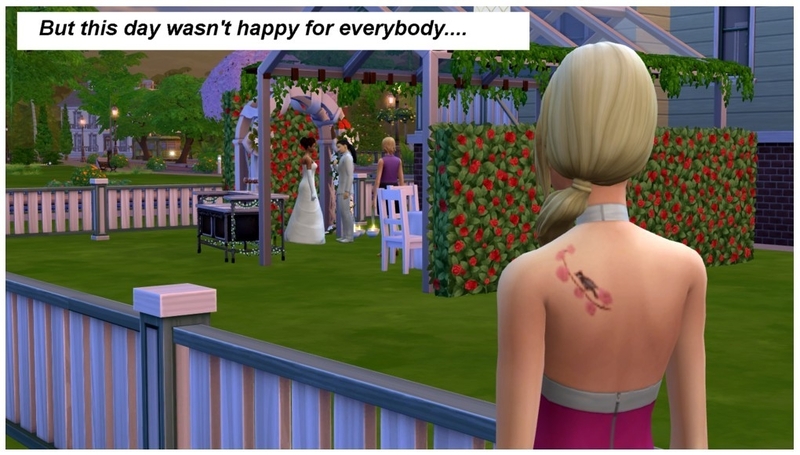 I agree, before I joined this thread, I had a good look around, it's literally made me fall in love with TS4 again, and playing families. And I love to build and see how the genetics works, so it's a bonus be nice to see your home. In the days following Elara's birth, Hymn managed to make a full recovery. Her and Wei also had some long talks about all that happened. Hymn wasn't that upset with him anymore. After all, he rescued her, and he really came through with caring for Elara. Still, they talked openly about their thoughts and emotions and worked through everything. They also agreed that it'd be best if Wei moved in permanently. Living together seems to come naturally to them, they are enjoying each others company. Hymn knew at a young age that she wanted to be a doctor. She applied for a job as a nurse as soon as she felt all better. Her first patients, were this hunky guy and this pregnant woman. She couldn't tell them much about their illnesses though, since she's not that skilled yet. She transferred the cases to a colleague. The rest of the day, she mainly did some menial tasks. Like mopping up puddles in the delivery room. She stayed late to make an impression on her superiors, so she ate something at the hospital before heading home. Wei is a stay-at-home dad for now, but I plan on making him a secret agent (aiming for 'villain') as soon as Elara's all grown up. Hymn totally forgot about Lyra's birthday that evening, and she was feeling horrible. Still, she said yes to the invitation. Lyra was overjoyed to see her big sister. She was very scared when Hymn was in the hospital. I'm not sure why, but Melody and Prince came over feeling really sad. Prince and Wei wearing matching colors. Everything's fine as long as the birthday girl is happy. Hymn (who was feeling at home and took a shower) decided to bake Lyra a cake, since the caterer was nowhere to be found. Wei eventually found him reading in Dijons old music room. He gave him a piece of his mind. He had one job, for God's sake. Lyra wasn't happy with him doing that though. Poor guy, he was only trying to do the right thing for his family. Eventually, she made it to teendom without a cake. To make matters worse, Jana went into full blown labor minutes before the party ended. Hymn was drained when she finally got home, both from the chaotic party and the long day of work. She slept like a baby that night. Luckily, her hubby is always there to cheer her up. I was very happy when he was the first one to roll this whim. A bit of proof that he's truly devoted to Hymn and his family. That night, the couple spent a few romantic hours at the bonfire behind their house. And the next morning, Elara grew up into a child! I think she's cute She has the alien eyes and blue skin, but Hymns fiery hair. Melody delivered a half alien baby of her own. Jana and Jimi had a son, I'm not sure what they named him yet. And I gave Lyra a makeover. She looks a lot like Dijon, but she has her mothers cheekbones. Her eyecolor is a mutation. She gained the Loves the Outdoors trait. @OJenn I love his new restaurant! I love the brick look. If I ever get to doing a restaurant I would want something with that old world/mill feeling too! @kitoraem The kids aged up nicely. I like Olivia but mostly because she reminds me of a lot of my kids! Also, I love your family tree...it's so cute and little! @soulfull I agree! Happy Friday!! YAY! @Francisca464 Yay for an update! Yay for the weekend! Yay for Wei moving in permanently Oh I think Lyra is so pretty. I thought that was so funny about her being upset with Wei. I never saw that before. I can't wait to see Jana and Jimi's kids! 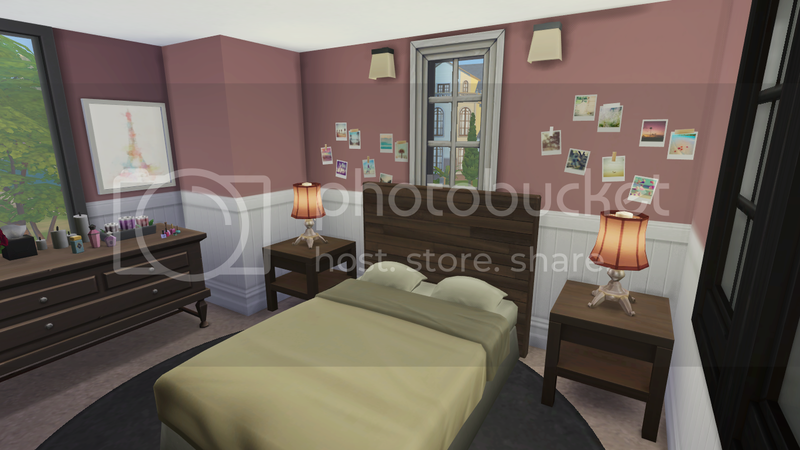 @Francisca464 I love Hymn, she's making me want to turn one of my sims into a doctor, always forget about that game pack, pretty photo's. @debjameswhite Thank you I love Olivia, she just toddles off and goes drawing, while Rosa is probably trashing the doll house somewhere, anger issues much. Olivia, Harrison and Rosa spent most of their childhood hanging around together, Despite Rosa constantly trashing the doll house, or causing a scene at dinner, the family were all getting along. 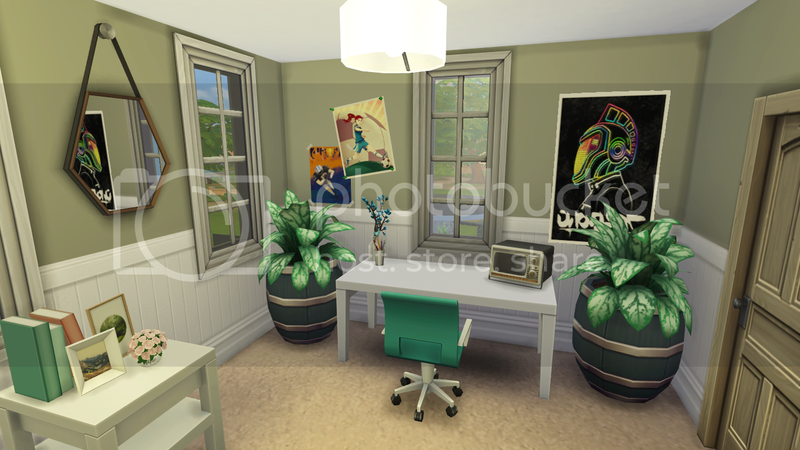 Thomas was near the end of High School, Lucy and Kyle converted the basement to make Thomas his own room and chill out area for his friends to come round and study, after all, he had 3 annoying siblings and needed his own space. He was still working at St Lobsters and working hard at his studies. It wasn't long until the triplets had their birthdays, Olivia, being the first one blew her candles out first, and they celebrated with a garden party. Olivia, Harrison and Rosa all grew up into beautiful teens, edited the hair, but the face features are beautiful I didn't need to touch them up! Olivia has the Soulmate aspiration, with cheerful and creative. 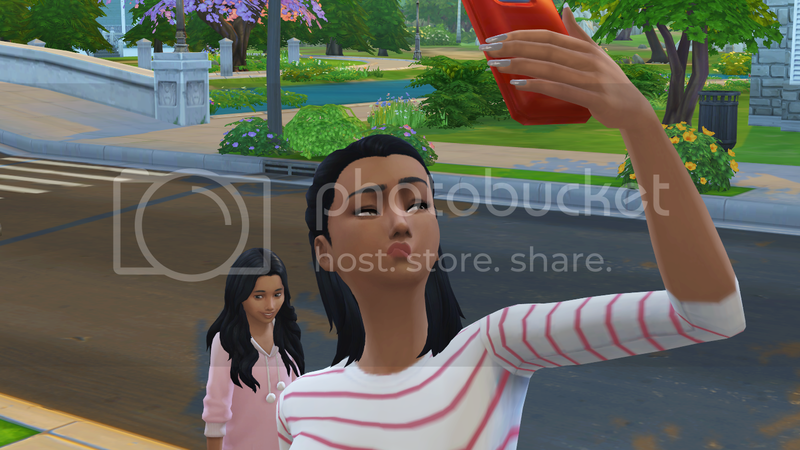 Harrison wants to be a joke star, with goofball and outgoing traits, and Rosa.. well she just wants to be a criminal of Willow Creek, with hot headed and materialistic trait. 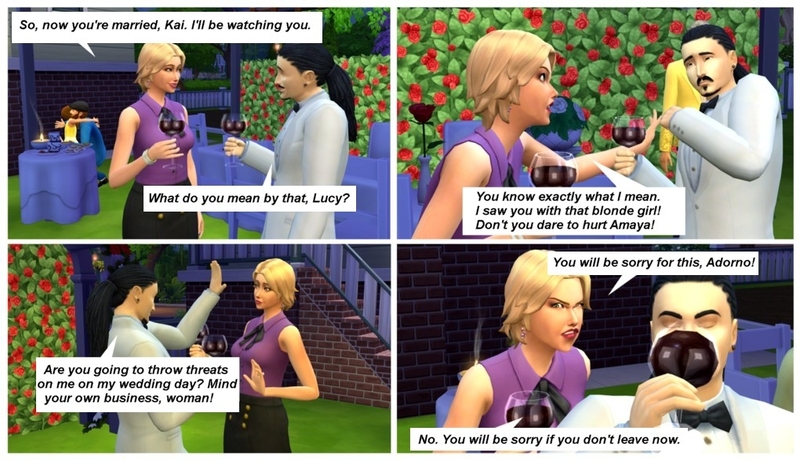 Not even Lucy's good parenting skills could sort that one out. Here they are! Thomas had met some friends from Willow Creek who attended his school, Carl and Anna, they spent most weekends down at Blossoms Park. Lucy and Kyle spent more time going on dates together, now the kids were able to look after themselves at home, Kyle was doing well in his career, and Lucy had published a new children's book. Yeah, Kai is young and a bit clueless, he wants to enjoy his life, but his town is so empty and dull for now. And now his a bit thorn between his freespirited and artistic ways, and his love to Amaya. @kitoraem welcome! 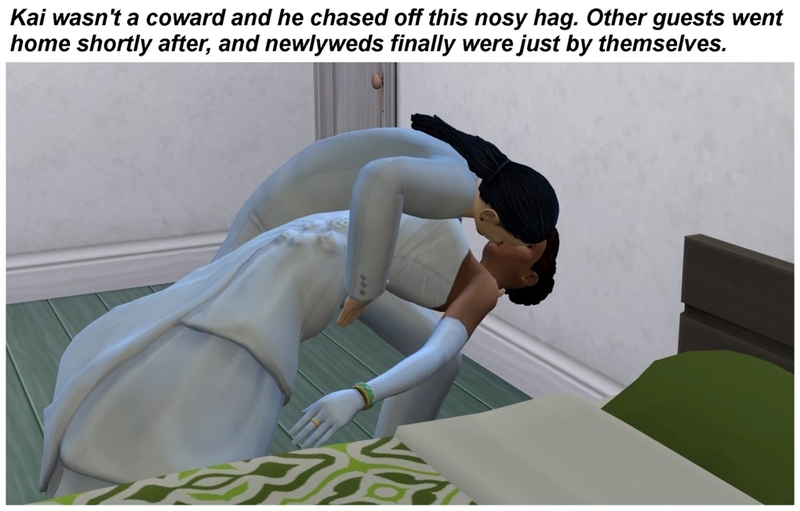 Your sims are so elegant! And their house is so cosy! I bet they'll create a wonderful family. Very nice store small but with a soul! Anyone seen the City Life trailer? Thoughts? I saw and i love it. I miss toddlers, pets, season and stuff, but I'm glad we'll get big city setting. And there will be so many items in build mode and CAs. And your restaurant Luxurious Llamas is so cool. It have this autumn-get-away vibe. Like a fancy trip to very posh place. @Letchy15 Elana and Oliver are so cute! 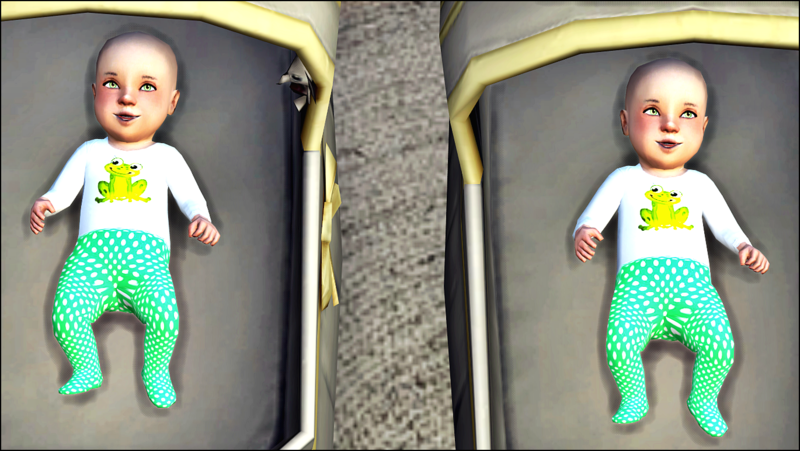 @Tellex silver hair babies are so adorable! 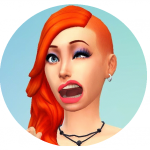 I love how your sims look like. They are very unique. @everyone pardon my English, because it isn't my mother tongue. 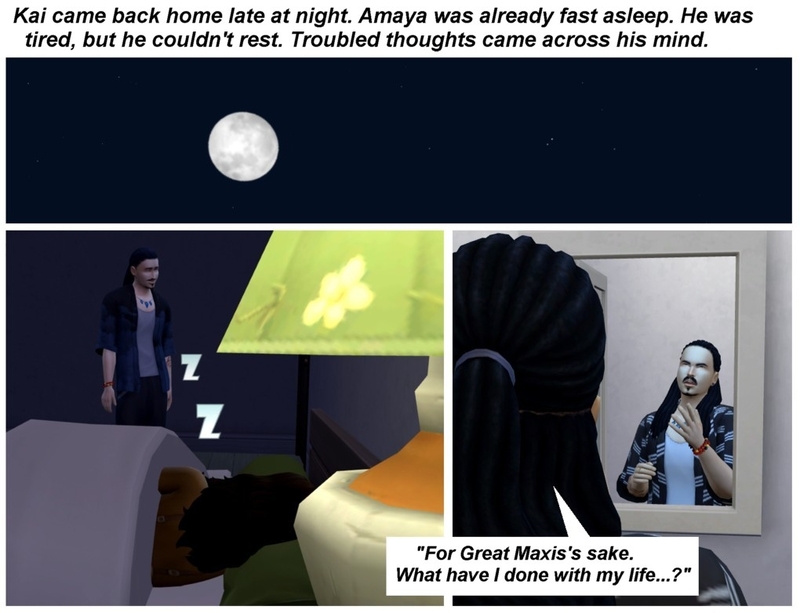 But I really enjoyed making this story and I love to practise writing. And finally underdecorated house've been improved a bit. 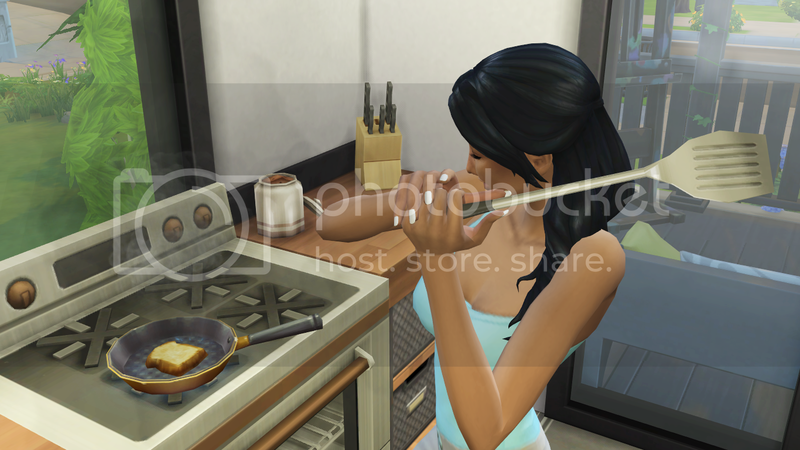 Honey you are a level 7 cook, and you can't even make eggs and toast properly?! @Francisca464 - Love that Wei and Hymn are back and getting their relationship in order. Elara looks like she is going to be a super cool looking alien when she grows up with her bright red hair. @kitoraem - Oh wow the triplets all got different looks and personalities, can't wait to see how they develop as teens. @kitoraem I love seeing your kids playing together even if Rosa is kinda doing her own thing. I also liked Thomas's teen space! The kids aged up great and how lucky for you to have rolled such perfect aspirations to go with their traits! @QuiteIzzzy I think you're doing great with your English and I love the story. I love the expressions you catch on their faces. I was a little worried when I saw Jen looking like she's not feeling too well! Congratulations on the wedding! 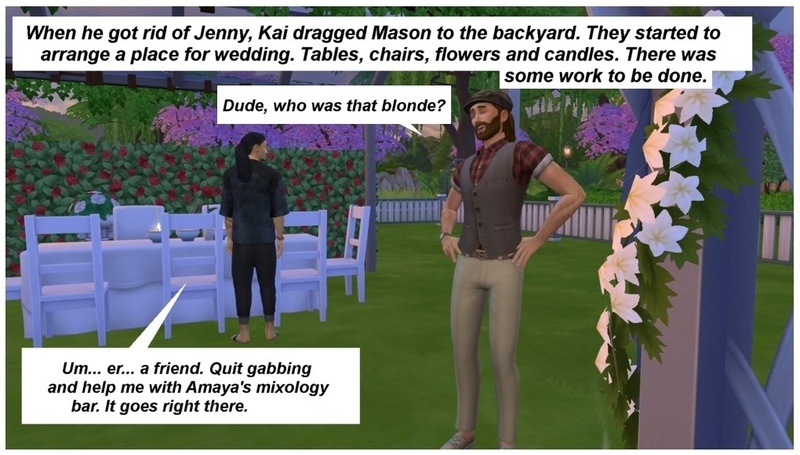 I can't wait to see what happens next with Jenny and the neighbor. Your house is looking very nice. @Letchy15 What a cutie Elena is and what a good big sister she has. I loved seeing her cook. 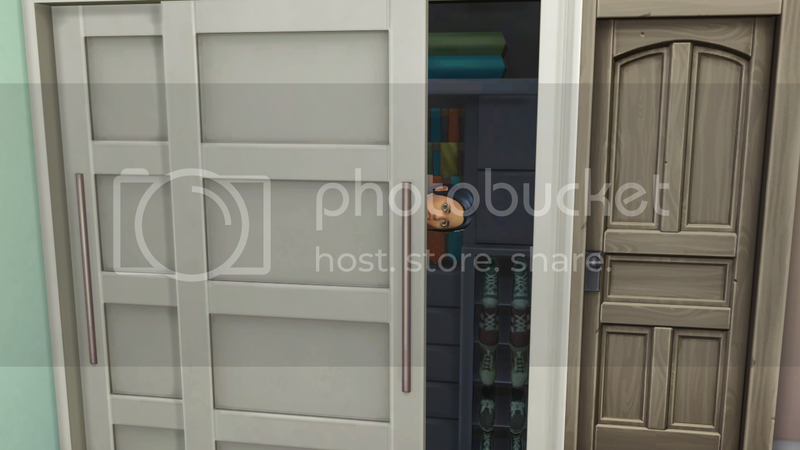 Playing in the closet...that's cute. I've never had my kids do that! Your house looks great. Kenzie can’t stand being away from Logan and wanted to meet up almost as soon as they parted. The restaurant was not functioning well though so they went back to Logan’s house to eat. She spent the night and Logan read. I thought this was cute. The next day his brother came over and they played chess. They’re funny when they get together. Jayden talked about impending fatherhood and Logan talked about his new engagement. I know this is a lot of chess pictures…but I couldn’t weed them down! They spent the entire day together. It was nice. The next day was for his sweetie though. Until his little sisters came over. Later they went out to party. @quitelzzzy - Thank you! I love your screenshots, like the whole newspaper read it has, I hope Jenny causes a massive scene I love the home, very beautiful. 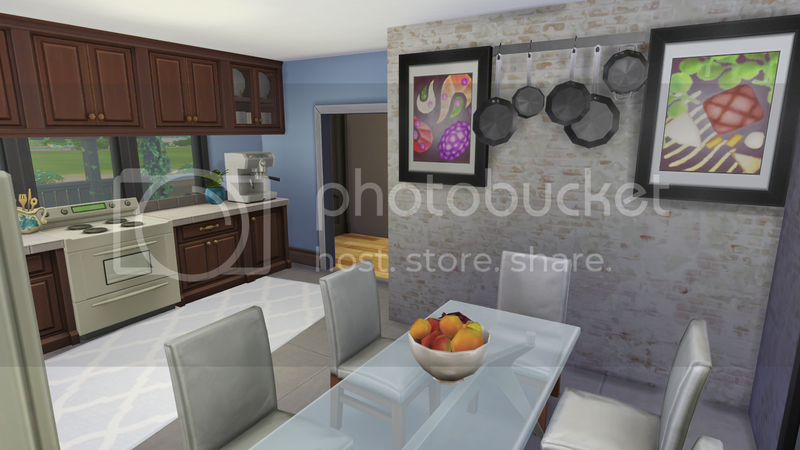 @letchy15 - lovely screenies, The Santiagos are beautiful, and the home is gorgeous. @OJenn - thanks, they are teens now, doing teen things, keeping the house awake all night haha. I'll put an update up soon, having dinner with the boyfriend then it's playtimeee! Happy weekend guys! 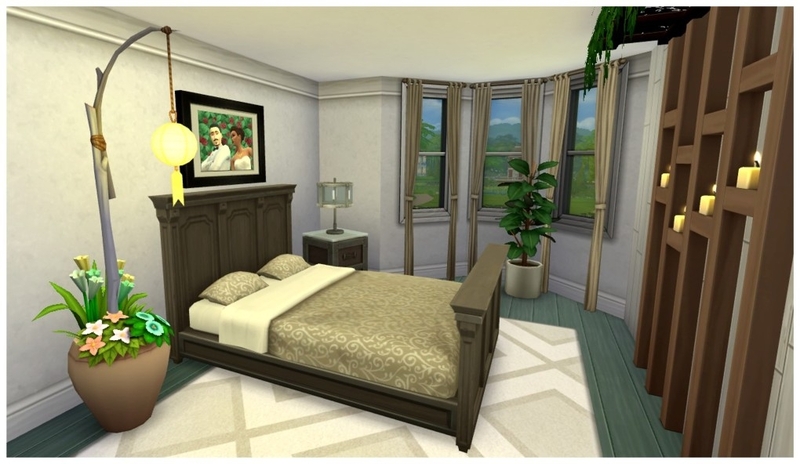 Here is the link to the dream house that my hubby (Bret) built for his bride (Valencia). 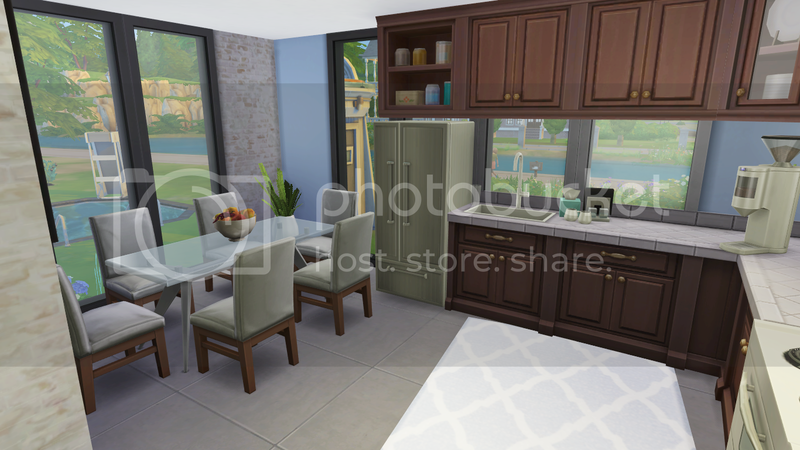 I wish I were tech savvy so I could've put replaced the pics that the gallery chose to post. They don't do the home justice. It is pretty open. Lots of greenery/landscape, open and water features, pools to give it that Pacific Island air for his wife to have a home away from home. There is an underground play area for the children. a nice BBQ area deck outside of a nice sized green house. I was inspired by other creators with the greenhouse, underground play area and the indoor/outdoor pool. 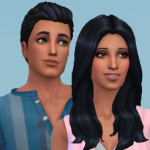 Excited to finally get to start playing with my founding couple!! @Everyone Hey don't forgot to post your family trees in your updates or in your signature on the forums. With everyone we have here it gets a little tough to keep up with who is on what generation. And you can use either Family echo or Plum Tree for this. After hanging out with their cousins down at the local shops, tragedy struck the family and Ezra passed away. Hi all, I am hoping to get some play time in today. It has been a minute for sure. @Ojenn - The restaurant is really nice. I would eat there. 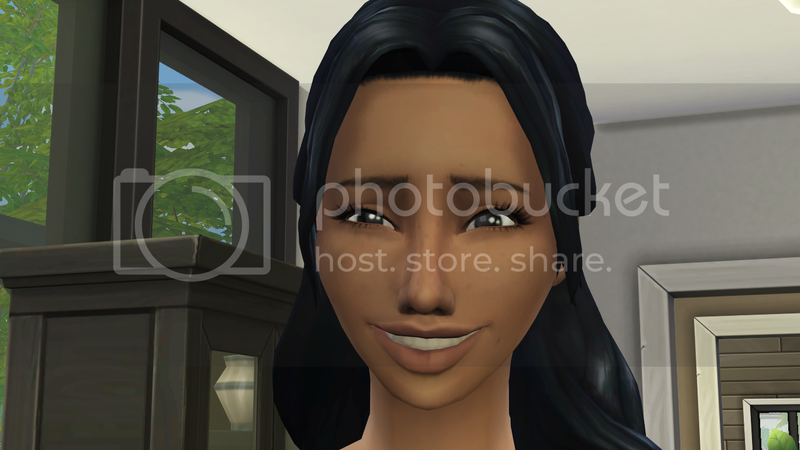 @Heckstress17 - Lilly looked so happy when she found out she was pregnant. I am glad that Shane is feeling better about becoming a dad. Awwwww Twin nooboos. I see they are a handful but I know Shane and Lilly are going to be great parents. @kitoraem - I have to say I am liking the way little Rosa Looks. She is so pretty. @Francisca464 - Hymn seems to be really happy with her job. Wei will make a great stay at home dad. He was so good with the children in my game. Poor Lyra aging up sick. That isn't cool. Elara is so cute!! I love her red hair. @QuiteIzzzy - I love your storytelling style. It is really engaging. Your wedding was beautiful. The renovations to the house are nice. @debjameswhite - The picture of Logan reading at the foot of the bed while Kenzie slept was so cute. They are so adorable. I see Kenzie is putting the moves on Logan in the last picture. Well I am off to play now. @OJenn Poor Erza.. 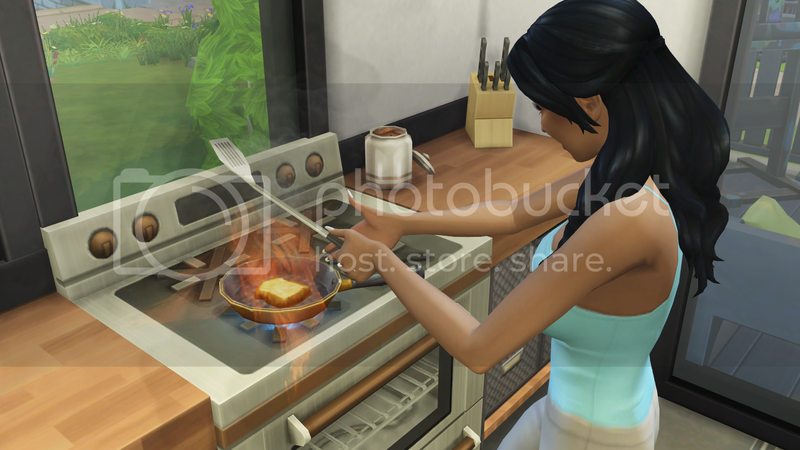 I love the twins and the screenies, so much detail on them. Thomas finally aged into a young adult, he needed his own space and with the help of his mum, went looking for a starter home. 'Mum, I love this house!' He found one right opposite his family home, it had been up for rent and Thomas always wanted to check it out inside, with the help of his savings and some funds of his parents, he made an offer, and the house was his. It was pretty small, and unfurnished, Thomas spent what he had to decorate it. His family always came round for tea most of the time. Thomas still visited his parents house to use the computer as after furnishing his new home, was left with little money, and he needed to build up his skills with his new career he landed as a tech guru in the downtown area. 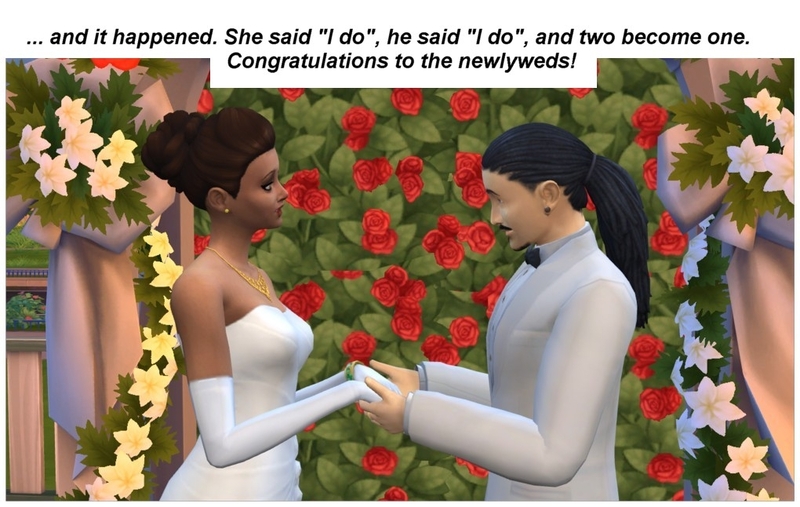 @everyone quick question, when your sims marry, do you change the surname? or keep it as it was when they met? 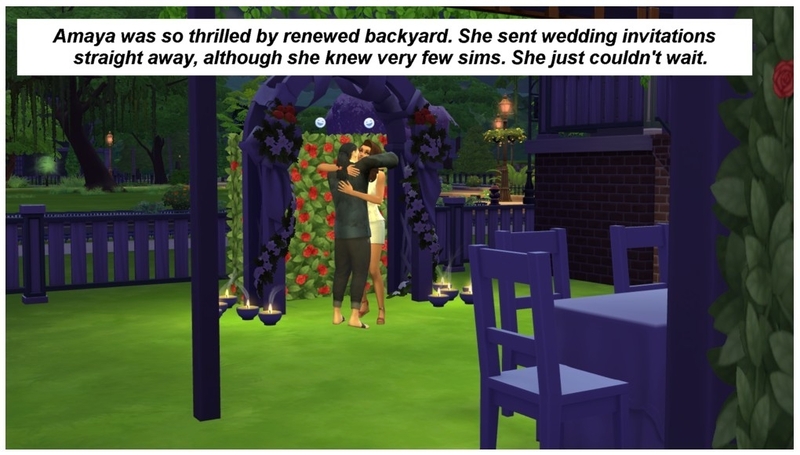 @OJenn I feel odd now that I put my sims on long and I was behind you and now Audrey is an elder and Saul and Lily are still adults. It makes me sad to see her aging up, but the girls are so cute. I was so sad that Ezra passed away even though he passed away in my game a long time ago. I love the party pictures...I'm always a sucker for group dances. Poor unsuspecting parents! At least they have good girls Not too much trouble! @Everyone I'm so far behind after my huge playing session last weekend that I didn't play at all today because I have so many updates I have to do! You'll probably get a few a day and I may even shorten some down so I can play again! Finally it was the big day. Logan started off working out with his Dad. Then he thought he’d kill some more time working in his shop but he was too distracted and hit himself in the head. Luckily he still made it to the wedding on time. 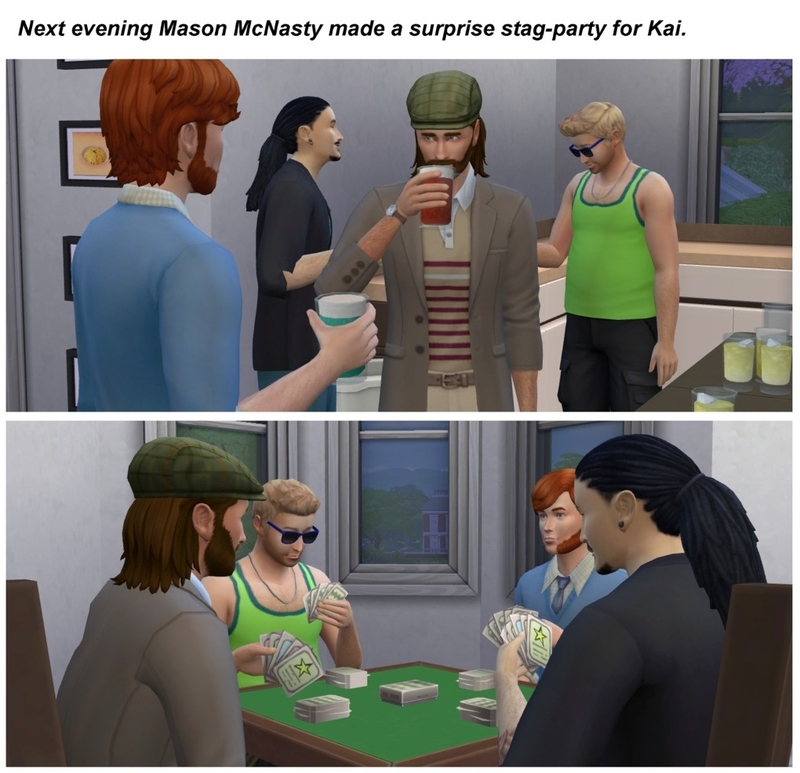 That night Kenzie had a little surprise for him. I just think they’re the cutest. 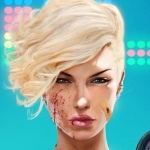 @debjameswhite - It makes me sad too seeing Audrey getting older, I got a ton of notifications for gen 8 being elders or dying already. I'm not ready! 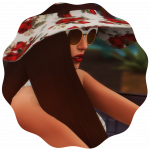 I think I will go back to playing on long life span, it's what I usually play on but I will do that when I get to Oasis Springs. I love seeing Logan and his girl together that wedding was absolutely perfect and the waterfalls in the background were a nice touch. Congrats to the happy couple and congrats on getting in generation 9 soon. Too bad that bottle of wine will go to waste right there lol. @kitoraem - It's really up to you I didn't set any rules on the names since I wanted people to sort of do whatever they wanted for that. I know sometimes I will keep a name for a few generations and then let my sims take on their spouses names. 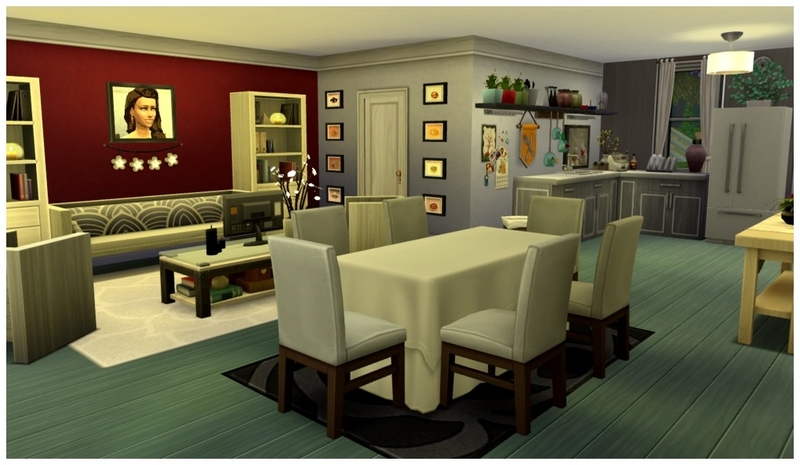 My Willow Creek save started with the Bradley's originally and now it's completely changed. Testing one two three... not sure if I did the whole signature thing correctly. Might need some guidance if this didn't work. @kitoraem Tyvm for the kind words about the home. Valencia loved it. Brett thought of her with every design & every actual placement of when bringing it to fruition! I'm glad it turned out.